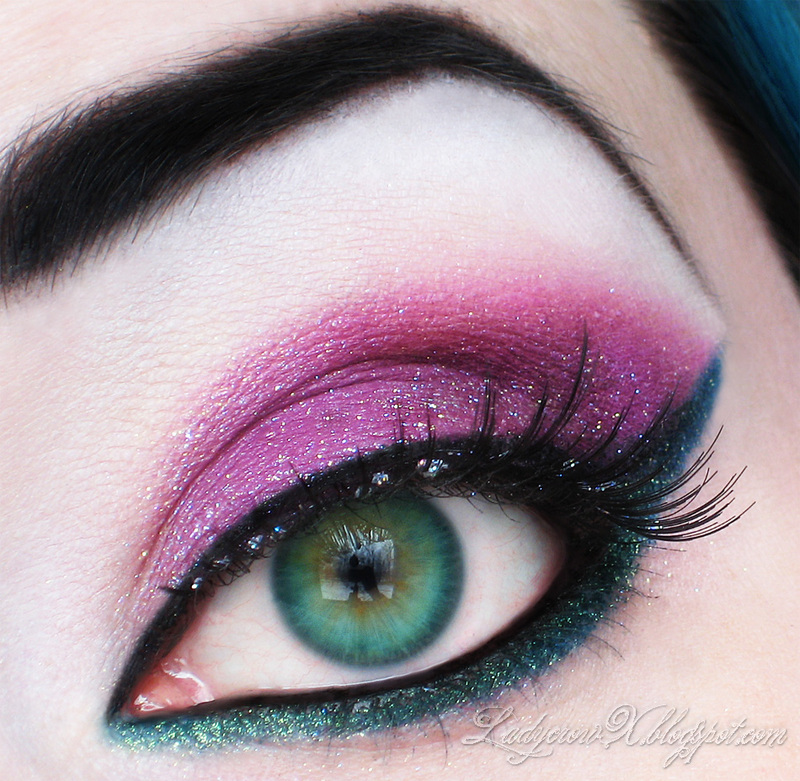 A while back I got the Fyrinnae Halloween 2011 shadows that were released, I'd been so busy with work and reviews that I wasn't caught up to them yet. Anyway today the husband and I went out so I decided to put on something a little more fancy then was need for lunch and shopping. 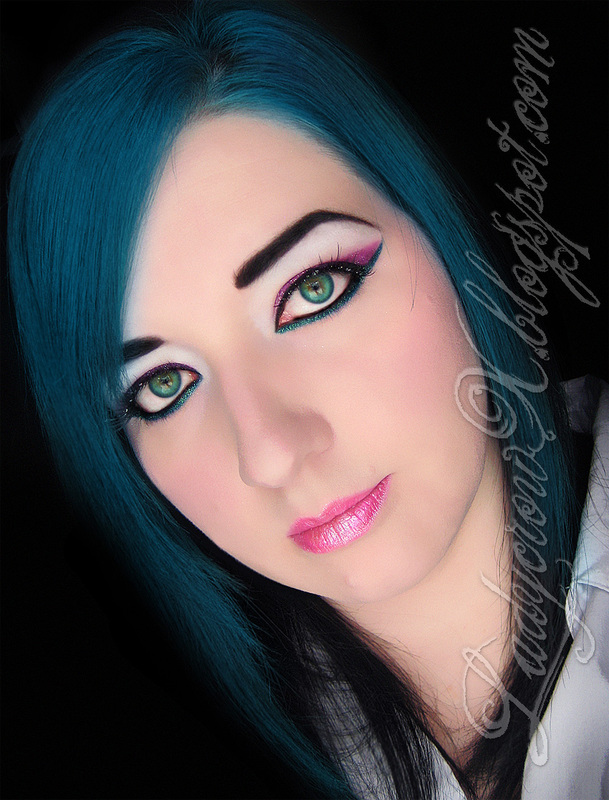 For this look I also used the natural daylight to help show the true vibrancy of my look as well as my crazy new "Twisted Teal" hair color. 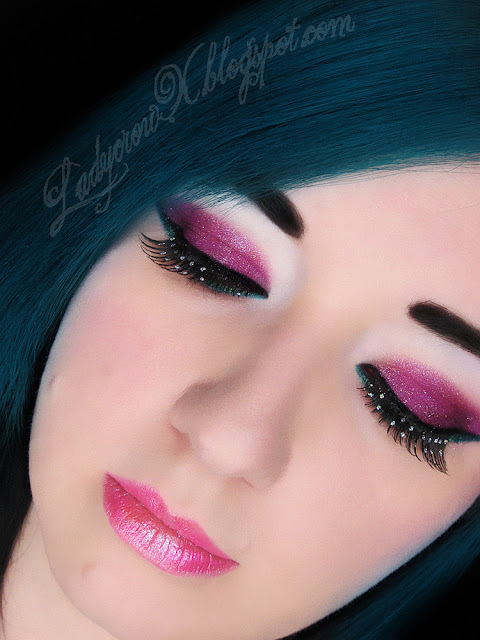 I also entered this look in the Makeupbee Competition! If you like it then I'd be very greatful if you voted for it. Vote here. The prize is for some Sugarpill stuff (I own most of them but Asylum), I don't normally say I will give stuff away to you if you I win because I don't want people to vote for me based on what seems like a bribe and I want genuine votes because you like my look. This time however since I already own most of the stuff (and I am just entering because I enjoy joining competitions/challenges) I'd be giving it away to you guys (keep Asylum though since I don't already have it). It's super amazing! I absolutely love the hair! I think the make up is gorgeous as always! Thanx for all these ideas. This look is really pretty! Love it! Love this! What did you use on your brows? @Sirena Sparklestar Ty! I actually used Sugarpill Bulletproof (so tired forgot to note that)! Beautiful eyes and perfect make up. @Snowhyte Ty!! Yeah Wake Not the Dead is so much more vibrant in person <3 it! Sooo gorgeous, love the colours! I love it! I think I'm going to have to look for Undercurrent. It is absolutely gorgeous. I am also very envious of your hair. This is so beautiful. I definitely want to recreate this look.